After a month in Turkey’s borderlands, investigating the trafficking of Syria’s antiquities, Giglio spent weeks more analysing the evidence, in continued contact with his sources and in discussion with a range of international experts. When he showed me the photographs from a member of one looting-and-smuggling enterprise, I recognised some objects from photos from traders online in Turkey. 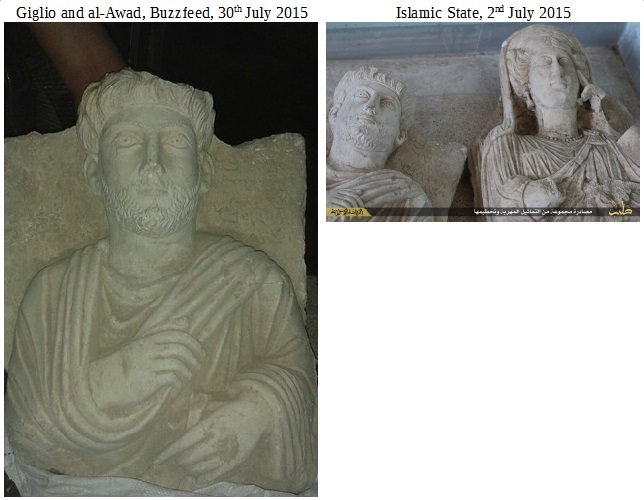 I also thought I recognised some of the objects from the Islamic State propaganda regarding Palmyra. We ran through (and exhausted) a range of alternative explanations. Could they have been forged? Could they have been looted, then forged? We both judged that the potential differences were tricks of the light and of the angle of photography. However, since I didn’t trust my eye for this stuff, I told him not to trust it either. Thankfully, Mark Altaweel, Michael Danti and Amr al-Azm affirmed that the antiquities that the looter-smuggler had handled were the ones that the Islamic State had destroyed. The looter-smuggler’s story confirmed the Islamic State’s claim that it had caught the smugglers and destroyed the contraband, though the Islamic State left out the rather unimpressive reason that they had caught the smugglers (and Abu Sayyaf’s antiquities stash proves that the Islamic State’s antiquities policing is about power and propaganda rather than purity). The smuggler had been smoking a cigarette when he pulled into an ISIS checkpoint outside Aleppo, en route to Lebanon. This caused the militants to become suspicious, since they consider smoking a sin, and they decided to search the car, finding the busts inside. The smuggler’s testimony affirms that pre-conflict criminal enterprises have persisted through the conflict, that some material is being stashed (for example, here, for four years between 2011 and 2015), but that material is still getting sold and smuggled to markets. Intriguingly, the looter-smuggler had smuggled the sculptures from Syria to Turkey, but calculated the risk of smuggling them through Turkey and ‘conspired to smuggle them from Turkey back through Syria and on to Lebanon,… because Turkish authorities are far more diligent about cracking down on the trade than their counterparts in Lebanon’. Contrarily, multi-commodity smuggler Ayham explained to le Temps’ Boris Mabillard that he had chosen the Syria-Turkey route precisely because he had found that Turkish authorities ‘turn[ed] a blind eye‘, ‘close[d] their eyes to the traffic in Syrian objects [ferment les yeux sur le trafic d’objets syriens]’. 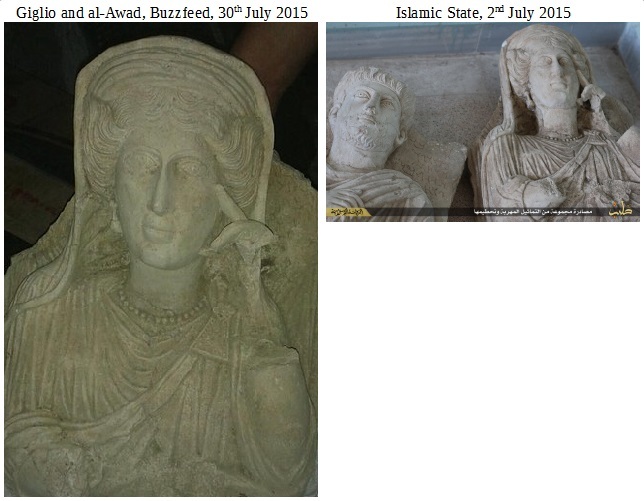 And Lebanon has seized many illicit cultural goods (hundreds of antiquities and thousands of forgeries). Considering Turkish law enforcement officials have documented how Turkish intelligence agents have been involved in arms-for-antiquities trafficking, these differences may reflect perception more than reality (which would be interesting in itself). If not, they either indicate a significant change in policy, or reaffirm just how internally riven Turkish state structures are.